Redeveloped network of 60 websites to incorporate newly acquired medical centres for the Group that owns more than 225 centres across 7 countries. Of the 60 clinic websites, 48 newly acquired medical centre assets were required to be rebranded and migrated along with an existing 12 microsites. A new content management system was needed so that specific content could be controlled and managed centrally by Fullerton Health Australia Medical Centres head office or managed by the individual clinic. All medical clinics were required to exist as separate domains, in line with Fullerton Health corporate brand guidelines. An aggressive timeframe was used to complete the large number of website redevelopments in time for corporate cut off dates for the site handovers. A rolling site handover was determined to be the best approach for the convenience of Fullerton Health Australia. The sites were handed over as they were developed to ensure Fullerton Health Australia’s ease of website management. A scalable platform was required to accommodate growing marketing and operational needs of each clinic. Fullerton Health Australia also had tailored needs regarding content dissemination. They required the ability to publish content collectively to all clinics as well as to individual clinics to optimise marketing campaigns. Our solution was to build a WordPress Multisite Network Portal to allow the network administrator to run and manage all clinic sites from a single dashboard. Each clinic on the network was given its own admin with the capability to manage only their own website. A parent site for Fullerton Health Medical Centres was also created to link to the individual clinics. The Multisite approach allows Fullerton Health Australia to manage content centrally as well as plugins and themes from a ‘master’ install. It was determined that approximately 70% of users reach the medical centre sites on mobile devices. For this reason, a mobile first approach was selected to optimise website design for the platform most commonly used by customers. The large scale website migration necessitated an efficient, structured system. A standard template was created to ensure consistency in branding and structure throughout all the medical clinics. We created a central domain with control over each of the medical clinic sites which were respectively given restricted access to their own content. This capability enables the network administrator to manage all sites from a single dashboard. It allows individual centres to maintain some of their own content, such as doctor listing and opening times, whilst ensuring restrictions to other content as required by Fullerton Health in the interest of consistency. The main central domain contains content pages as well as links to the individual medical centres, grouped by state. The individual centres each follow the same branding and layout as the main site. 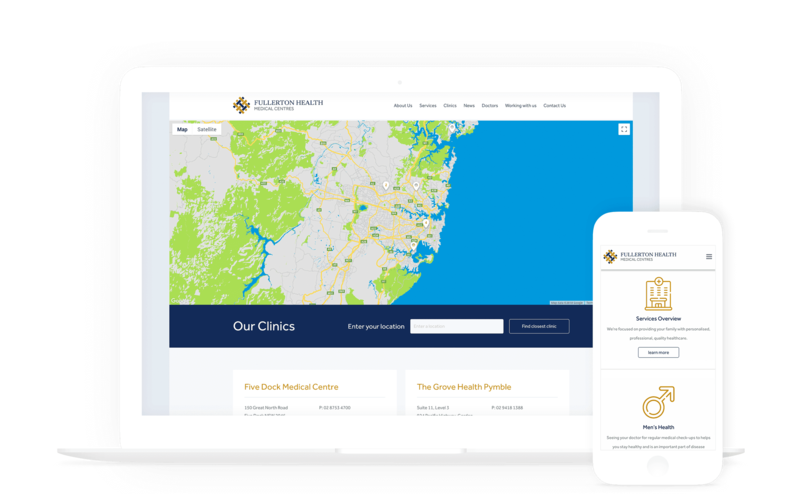 The Fullerton Health Australia Medical Centres Website Network Portal was built with our own custom CMS, Consul™ specifically designed for business enterprise deployments. The platform utilises WordPress, providing Fullerton Health Australia with all the benefits of its acclaimed user centric features such as its ease-of-use content management including simple and flexible editing and customisation. In addition to these, Consul™ provides a new robust system architecture to WordPress that can be customised and scaled to deliver functionality, style and enhanced user experience for advanced business application purposes. 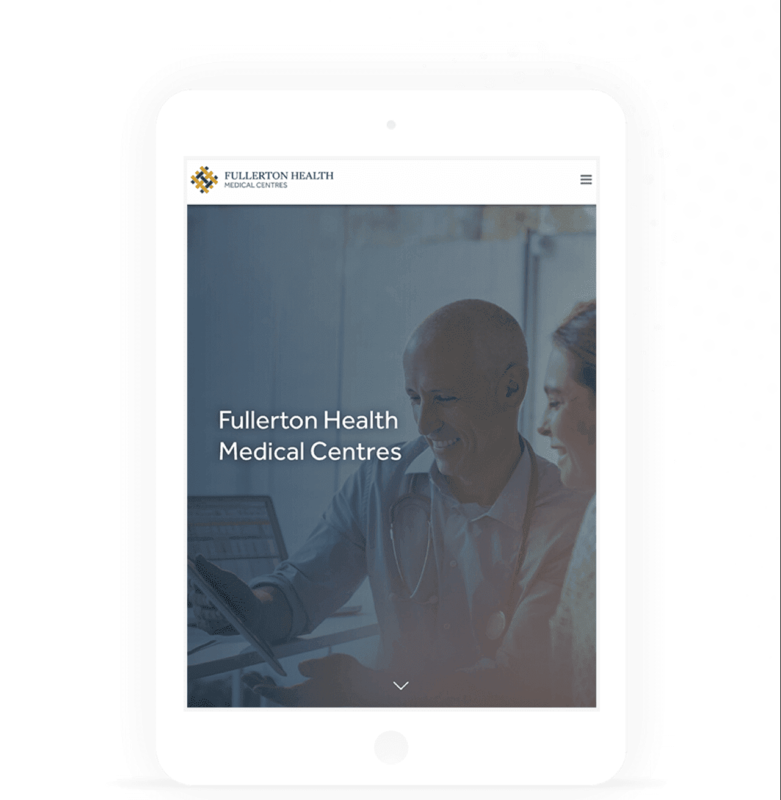 The Fullerton Health Australia Medical Centres Website Network Portal is now fully operational with the efficient administration of all clinic websites. Individual administrators have restricted access which is controlled centrally by head office, giving Fullerton Health Australia the ability to effectively manage all clinics on their extensive network. 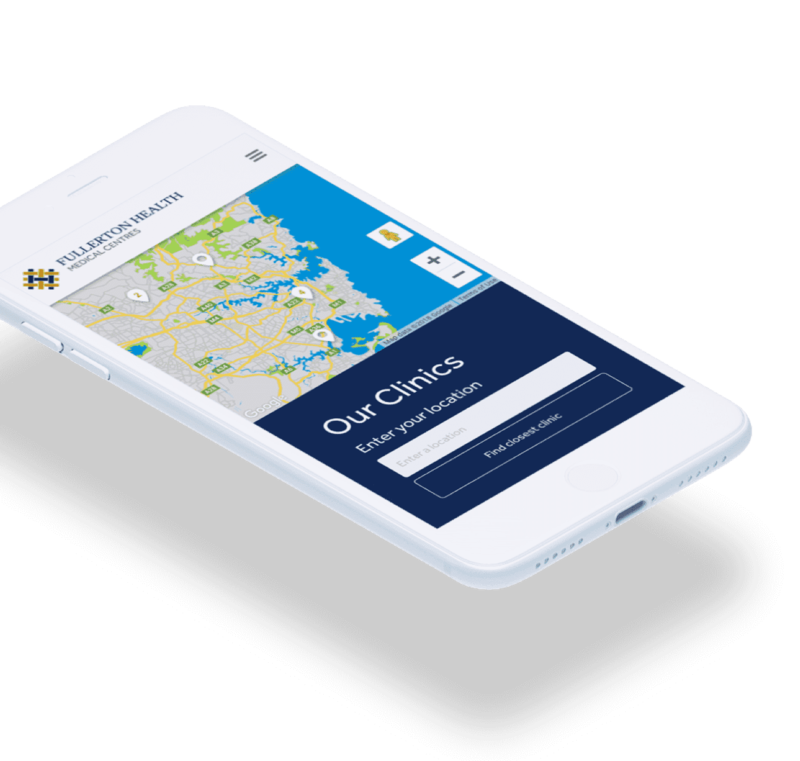 All 60 clinics owned by Fullerton Health Australia are now branded consistently and newly acquired clinics can be incorporated into the network easily and efficiently. Branding consistency of all sites was achieved through our template approach. The scalable method allows the easy incorporation of new clinics as required. The high availability hosting we provide is fully maintained and automatically upgraded to provide high level security and robustness to the whole Fullerton Health Australia Medical Centres Website Network Portal. Additionally we are providing 24/7 monitoring of performance and behaviour of all sites. Since being incorporated into the Website Network, sites are now each averaging approximately 1400 users per month. Users are successfully being directed towards the ‘Book an Appointment’ page; the majority of users navigate to ‘Book an Appointment’ within a single click from the home page.